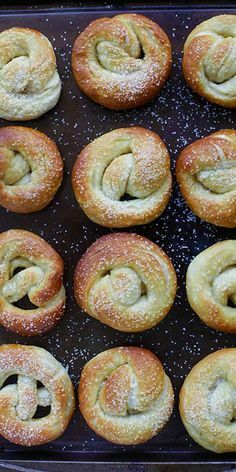 Easy Pretzels – the best homemade pretzel recipe that is super easy and fail-proof. Soft and chewy at the same time. So good | rasamalaysia.com – 1 freebie(s)? Homemade Double Chocolate Chip Cookies – 1 freebie(s)? Berry Pie – 1 freebie(s)? Brownie Cookie Cupcakes – 1 freebie(s)? 3-Ingredient Cookies Anyone Can Make! – 1 freebie(s)? Honey Streusel Muffins – 1 freebie(s)? Homemade Oreo Cookie – 1 freebie(s)? Caramels With Chocolate & Peanuts – 1 freebie(s)? Caramel Brownie Pie – 1 freebie(s)? How to Make Oreo Truffles – 1 freebie(s)? Photo Transfer to Wood using Laser Printer: DIY Tutorial – 1 freebie(s)?